A couple of weekends ago I took off my mommy hat and put on my ‘adult’ pants for my oldest friend’s bachelorette party!! My family and friends were joking that I would be calling it a night around 11pm, however I am happy to report I stayed out dancing with my friends until 2am … sometimes I really do surprise myself! As I’ve gotten older I have become more into going out to dinner than a going out clubbing or to a bar, but once in a while it is definitely fun to let loose and have a late night. And lucky for me, my husband was kind enough to handle baby duty for the whole evening and the next morning so I could get some sleep. As the bridesmaids and I started to brainstorm for the bachelorette party I took to Pinterst (obviously) to see what ideas were out there. First I checked out my Fling Before the Ring board to see what I previously pinned and I immediately found something that triggered an idea. For my bachelorette, my maid of honor had put together little goodie bags for each girl. I loved the idea and wanted to do something similar. 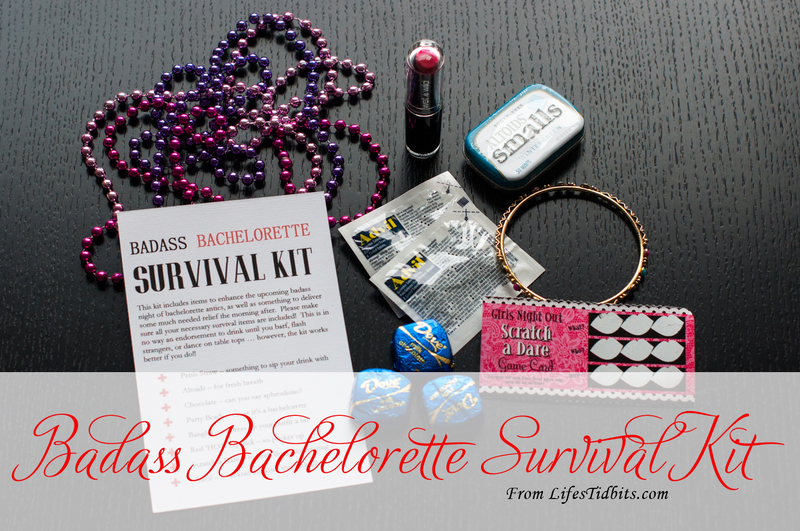 Enter the badass bachlorette survival kit inspiration, which can be found here. 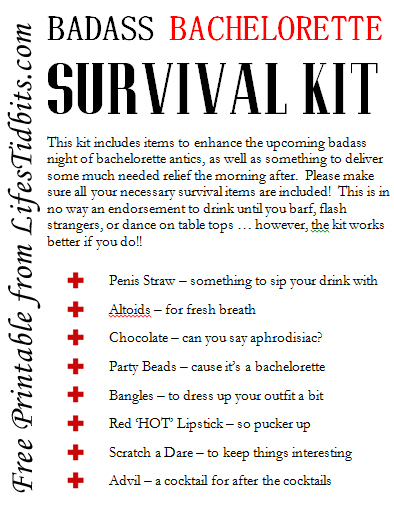 FREE Badass Bachelorette Printable can be downloaded here. I have uploaded the MS Word version so you can add/remove survival kit items as needed. I really get bummed out when I find a fabulous printable and then can’t use it because it’s un-editable. You will need to download two free fonts for this printable: Pottery Barn and FangSong. I purchased 4×6 Cardstock to print the survival kit message on. 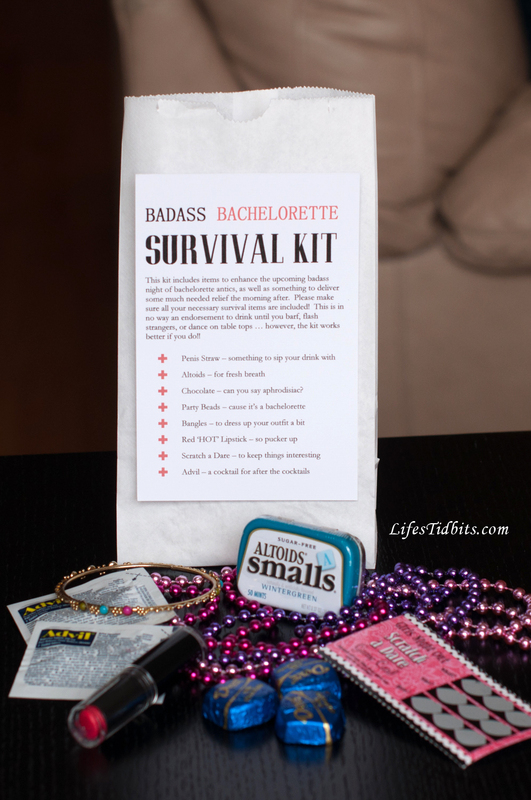 Did you do bachelorette party favors or survival kits? If so, what did you include in the bags? How fun is this?! I’ll have to remember this in case my sister ever gets engaged (hopefully sooner than later). Pinning this! 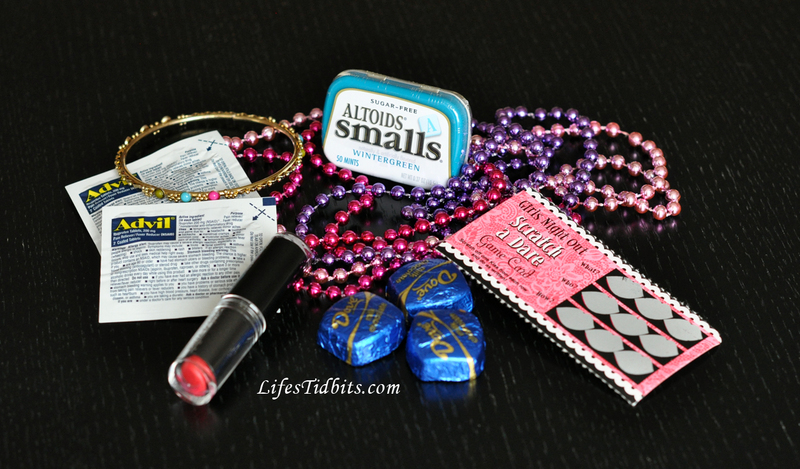 Tums, Chapstick, mini toothbrush/floss pick, light-up rings, Summers Eve Cleansing cloths, Facial towelettes, Emergen-C packets, perfume samples, Pepto Bismol tablets, nail polish… And much more!